OXFORD – Three-peat. Three-peat. Three-peat. That’s all first-year Oxford wrestling coach Kyle Routon has heard since he accepted the position back in July. 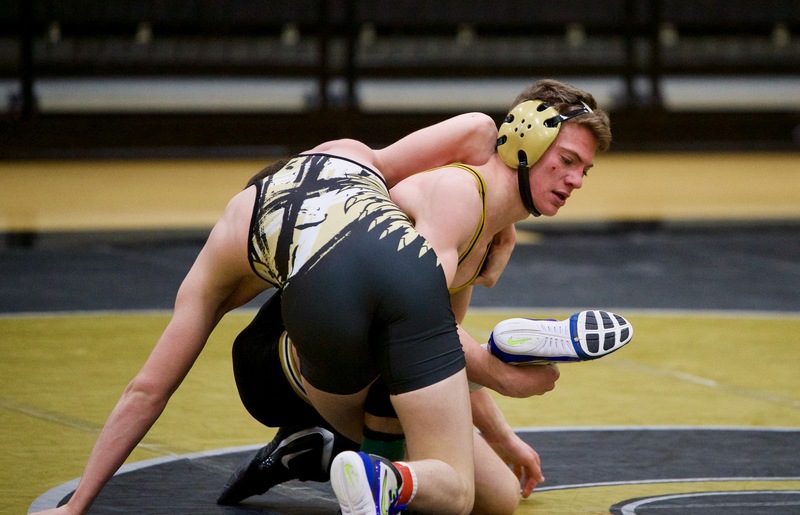 The Yellow Jackets are the two-time defending 6A State Duals champions, and with that brought a wealth of expectations as Routon took over a proud program. Built into that, no doubt, was the traditional state championship, which Oxford has won the last two years as well. Oxford’s Landon Burrage and Tyler Anthony at 126. The pressure is even more on Routon personally, with him leading Southside to five state runner-up finishes during his time there but never quite getting over the hump to win the whole thing. Expectations were high for him coming to Oxford, and anything less than a state title would be viewed as a bitter disappointment. So far, so good, as Oxford clinched their third straight trip to the State Duals Championship with a 33-28 win over Wetumpka Tuesday night. The Jackets will face Gardendale 6 p.m. Friday at the Birmingham CrossPlex/Bill Harris Arena in with the title on their line. Gardendale defeated Mae Jemison 45-25 in their semifinal on Tuesday night. Freshman 182 Keeshon Siaosi clinched the match for Oxford just as he did in the quarterfinals against McAdory, this time with an 8-6 decision over Wetumpka’s Devin Palmer. Siaosi may have clinched it in the 12thmatch of the evening, but it was the work done by Oxford’s senior class in the middle of the lineup that gave the Yellow Jackets a near insurmountable lead. 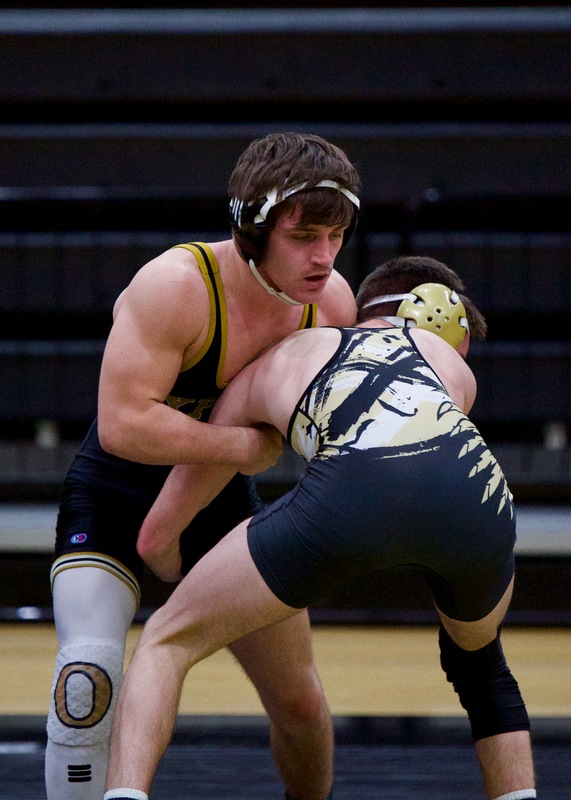 From 126 to 145, the Jackets won four in a row, including one pin and two major decisions that helped them break a 9-9 tie after the first four matches and build a 26-9 lead with six matches to go. 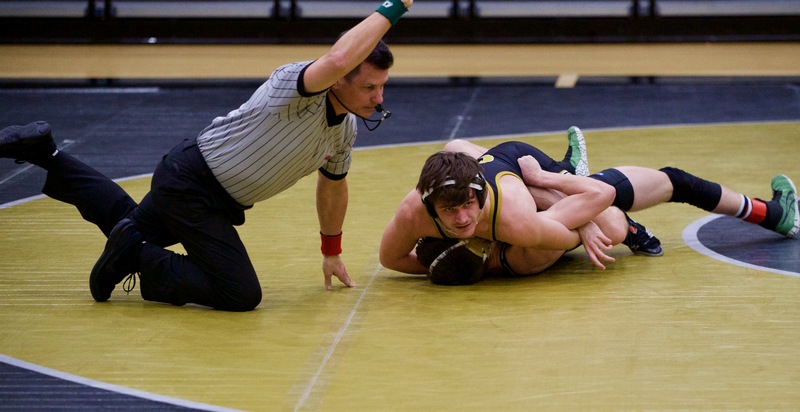 Oxford’s Reed Hill dominates Collin Lybrand at 160. Burrage got them started with a tough decision over Tyler Anthony that was anybody’s match until the Oxford senior scored the decisive two points in the third period. 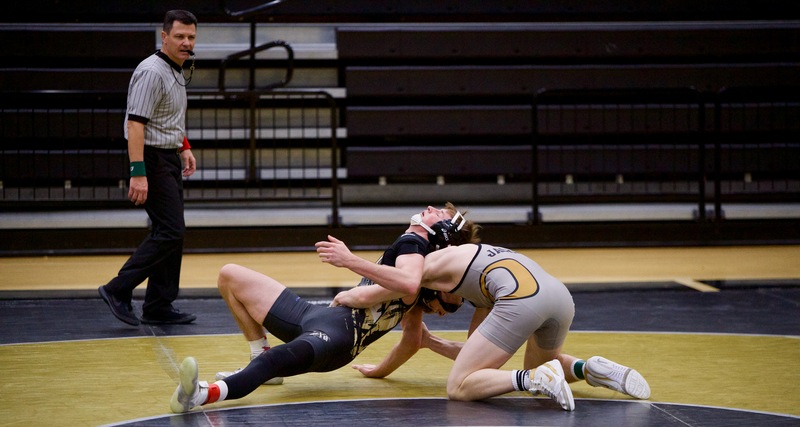 Wesley Slick followed with a pin of Dawson Tadlock, and then Chase Hicks and Jakob Chisolm came away with major decisions over Kaleb Jones and Cole Blackwell, respectively, that gave Oxford a huge advantage. Hill is typically in the 152 match, but Routon moved the junior up to 160 to try and take advantage of a favorable matchup. Payton Ratliff lost a close decision in his place at 152, but Hill took a major decision over Collin Lybrand to all but seal it with Siaosi clinching in the next match. Wetumpka, to their credit, never gave in even after Oxford got the clinching points. They took the final two matches of the evening to make the margin close. While Routon places immense pressure on himself while chasing that ever-elusive State Championship, he knows it’s a simple recipe for Oxford to come out on top. Oxford’s Wesley Slick pinned Dawson Tadlock at 132.